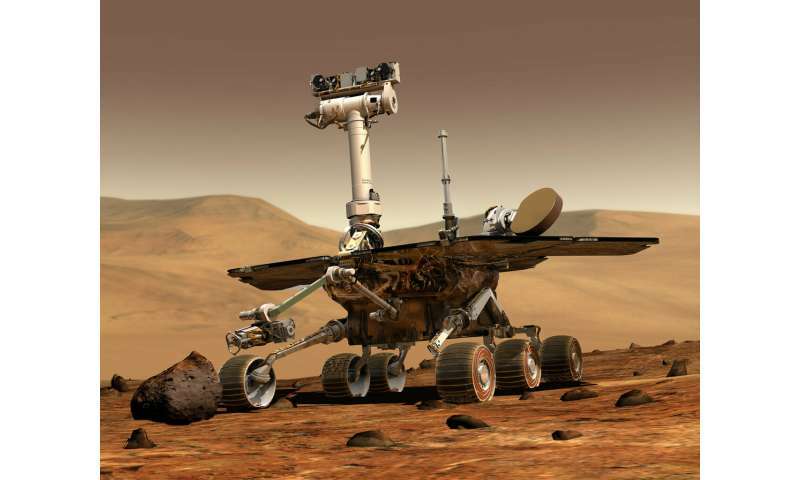 NASA's Opportunity rover is silently marking the 15th anniversary of its touchdown on Mars. Flight controllers are still sending commands to the rover in hopes of a response. But project manager John Callas says the longer the blackout lasts, the less likely contact will be made. He calls Thursday's anniversary bittersweet. Opportunity landed on Mars on Jan. 24, 2004. It already had long outlived its design lifetime before contact was lost.